Eager to teach your child how to not hold onto an imaginary fence—a fence tying them down to the fears and worries of life, preventing them from living into their extraordinary calling? Do you yearn for them to soar and fly, like a sparrow, but know that at times they cannot see their way through the difficult obstacle before them? 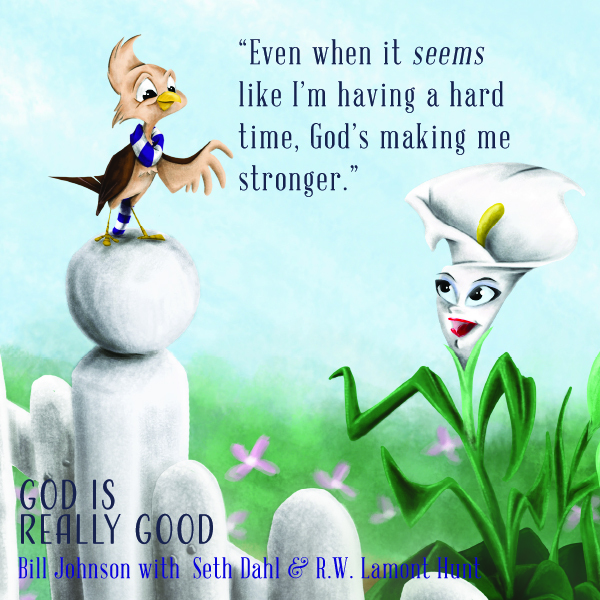 In “God is Really Good,” a children’s book written by Bill Johnson with Seth Dahl, pastors at Bethel Church in Redding, California, little Sparrow learns an incredibly profound lesson. The book discusses how trials and tribulations are a part of life—they’re inevitable—but there is always a path to handling these trials: Christ. And that most importantly, He is always good. Amidst the chaos in life, Christ eagerly wants us to give Him our burdens and hardships. In the tale of Sparrow, we see that no one is ever too young to give God their struggles. With His loving heart, tiny Sparrow searches high and low to find the answers to his and his community’s problems, seeking counsel and wisdom from his closest pals in the expansive forest. However, he falls short and cannot find a solution; he simply cannot envision how his dearest friends will be able to get out of their dire situations, and thus becomes concerned and desperate to help. “God is Really Good” is an essential educational tool in the hands of any parent eager to teach their child that though life is full of adversities, many of which we cannot escape even when we earnestly attempt to do so, there is a path forward in Christ. Similar to Sparrow, we tend to try to carry more burdens than we can truly handle—but ultimately, we are not meant to walk the journey alone. As we read, we see Sparrow attempting to carry the needs of Squirrel, Owl, Puppy and Goat on his own, but unsuccessfully. He is stumped, and his caring, young soul becomes burdened. Sparrow is not alone. Many children feel distressed when faced with overwhelming burdens. Even when told, “God is good,” it can be hard to trust that God has a plan. Though it is important to care about those around us, God does not want us to shoulder the weight on our own. Christ desires that we come running into His arms, allowing Him to open up our hearts to let Him guide us through all the pain and obstacles that life can bring. Children are not exempt from seeking the Lord in this way, as He calls all of us—including our tiny kiddos—to trust and rely on Him. When we can’t see the path before us or the end results of our current situation, it can be hard to fathom God’s goodness through the disarray. But, as little Sparrow comes to learn more about his Creator, flying through the expansive forest to find his hopeful answer to the problems he meets, he realizes that God already has everything figured out. God is ready to bless him and his friends—just as God is ready to bless us; we must simply let go of the fence of fear that is holding us back from truly living out our callings, and embrace His extravagant provision for us. Little Sparrow learns that, if all else fails, God is good, and His goodness is always enough. Perhaps, like Sparrow, your children try to carry the weight of the world on their shoulders. Or, like Owl, their vision is blurred, prohibiting them from seeing the incredible desires that God has placed on their heart. “God is Really Good” teaches children (and adults alike) that when they step back to analyze the full spectrum of God’s love, and the plans that He has for their lives, they can realize there is peace that can only be found in Him. Sparrow comes to understand this despite all the difficult circumstances that his friends are facing: Jesus is good, His goodness is unwavering and He always plans ahead. 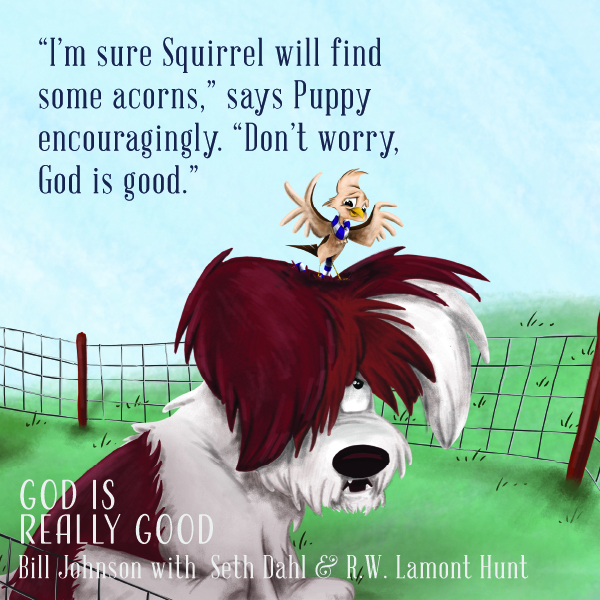 As we see Sparrow come to discover the vast goodness of Jesus, “God is Really Good” teaches children that God intends to use even the littlest of people to see His glorious plans come to fruition. Children and adults engaging in this precious tale can be in awe of God and His everlasting righteousness. Though your journey may look starkly different from what you ever imagined, the Lord will never fail you, as His love is always enough. He intends to use you in miraculous ways that will have you singing joyous songs, just like Sparrow, praising the Lord for His goodness. For more information on “God is Really Good,” click here.